It’s obviously a good day for the unvieling of badly kept secrets. Not wanting to be kept out of the news by Team Sky, US bike manufacturer Trek has confirmed it will be backing Team RadioShack in 2010. But didn’t everyone already know that? 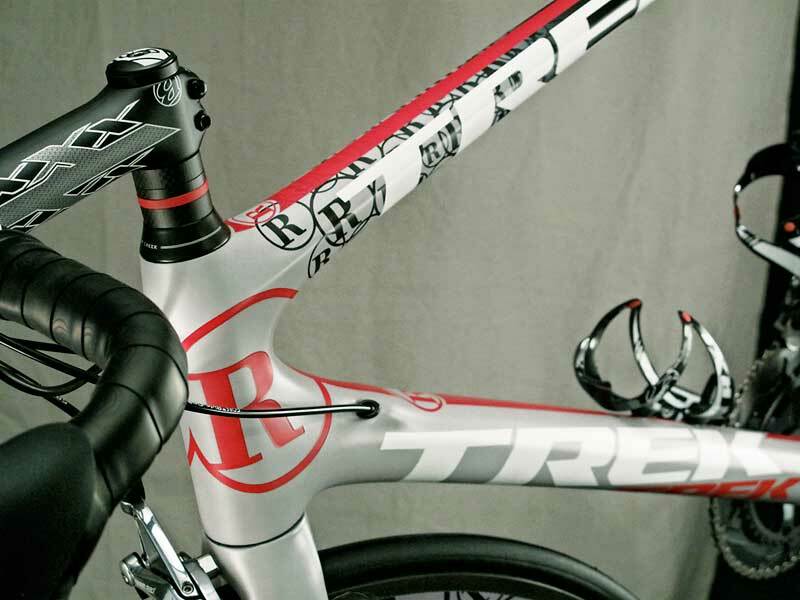 Trek Bicycle confirmed today that it will be the official bike sponsor of the 2010 RadioShack Pro Cycling Team, continuing its relationship with Team Director Johan Bruyneel, 7-time Tour de France champion Lance Armstrong, and 11 other notable riders of the 2009 Astana Team. Trek and Team RadioShack held their first official meetings at a team camp in Tucson, Arizona December 7-12. While at camp, Team RadioShack riders were outfitted with 2010 Trek bicycles and Bontrager gear. 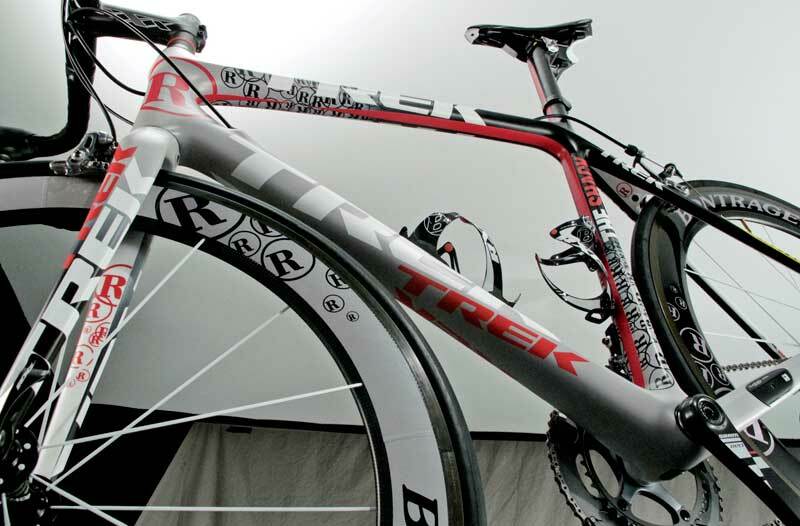 For their training and race rigs, riders received custom-fitted 2010 Trek Madone bicycles. As the latest in a line of bikes that have won 9 of the last 10 Tours de France, the 2010 Trek Madone represents the culmination of over 30 years of bicycle innovation, technology, and refinement. 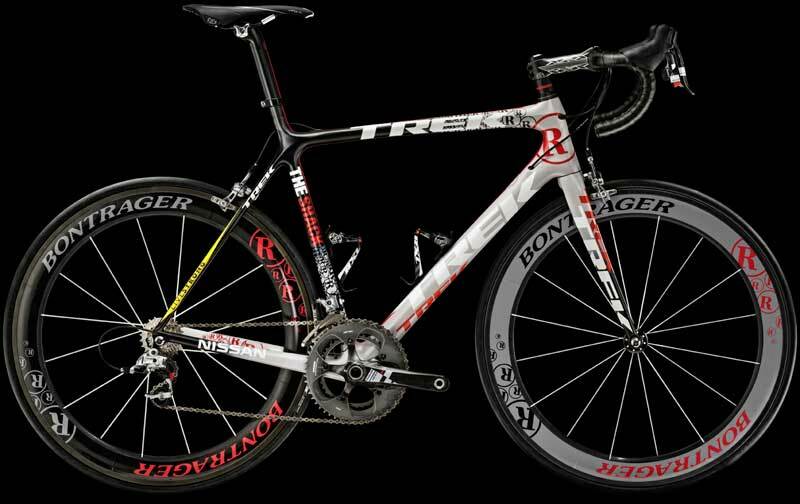 Team Shack riders will also receive Trek’s Prototype 2011 Speed Concept bicycles before gearing up for the Tour Down Under in January. The newly-formed Team RadioShack Pro Cycling Team will also be riding Bontrager components and accessories throughout the 2010 season, including Bontrager wheels, handlebars, stems, bar tape, bottles, cages, and computers.